Clean, welcoming, safesubmitted by Ashley K. - Apr 01, 2019 |Recommended: YesThis is a very safe location with a nice mix of families and young adults. The facility is always clean and the amenities make everything easy and fuss free. Everything is here for you. Love living at the Lofts--everything you want in one place.submitted by Cathlin S. - Mar 12, 2019 |Recommended: YesTenants and staff are all really friendly. Love having all the dogs around and amazed at how well maintained the property is--both inside and out, particularly since there are so many pups I like that fact that it's a non-smoking building people have to step outside to smoke . Maintenance staff is SUPER--issues are tended to immediately. Pleasantly surprised at how quiet the apartment is - wouldn't have known I had neighbors if I didn't see them. -Although it's not part of the property, the lake across the street is a lovely area with walkways and benches. 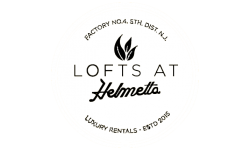 As a whole, Lofts at Helmetta is a breath of fresh air. LOVE THE LOFTSsubmitted by Wendy S. - Feb 28, 2019 |Recommended: YesI love my apartment more than owning my home. Great complex. Lovely atmospheresubmitted by Hailey H. - Feb 05, 2019 |Recommended: YesI love everything about this apartment complex. Everyone is so friendly and helpful Matinance issues are always taken care of as soon as possible. The only thing I would change if I could would be The pool hours in the summer and the gym hours to accommodate people that work different shifts. Love the property and love living heresubmitted by Robert V. - Jan 01, 2019 |Recommended: YesIt's amazing. Our neighbors are all friendly and the amenities are really nice. Have never had a problem getting anything fixed and the leasing agency was really easy to deal with and helpful. Clean, pet friendly, great communitysubmitted by Victoria C. - Sep 19, 2018 |Recommended: YesVery nice, clean pet friendly. Complaints, What Forsubmitted by Lateisha A. - Sep 04, 2018 |Recommended: YesI enjoy the neighborhood and the management team is extremely accommodating. The Lofts are absolutely beautifulsubmitted by Casey A. - Aug 31, 2018 |Recommended: YesI am nothing but happy here. Its so cool that this used to be the old snuff mill and it has been turned into such a beautiful building with some of the old building visible. Comfortable, friendly, accommodating, fully equipped.submitted by Andrew A. - Aug 14, 2018 |Recommended: YesMy wife and I have been living here now for about 6 months, and we love everything about it. The area isn't too busy, so there isn't a lot of traffic or congestion in our apartment complex. This also keeps the volume of the area down, so it's enjoyably quiet. The lofts has everything that we need, such as a gym, pool, lounge, game room, and beautiful park behind it. Great Place To Live submitted by Linda F. - May 07, 2018 |Recommended: YesFriendly neighbors and office. Everyone is helpful and it makes a great community. These apartments are greatsubmitted by Eric G. - May 03, 2018 |Recommended: YesEveryone is friendly, the amenities are always clean and functioning, and the staff is helpful, friendly and efficient. I could not be happier with our decision to live here.